Refractive surgery is often thought to fall under the exclusive purview of adult patients who simply wish to rid themselves of contacts and glasses. However, for some children refractive surgery can open visual doors in ways that otherwise would not be possible. The children for whom we see the refractive surgery is applicable are those with significant anisometropia, with one eye needing much more correction than the other, as well as those with high myopia or hyperopia who cannot tolerate standard therapy. Anisometropia that is severe is typically treated with a contact lens in the eye that has the high refractive error or with glasses, but glasses become impractical when you have a really huge difference like 10 D. In such cases where the prescription is high in one lens and not in the other, the spectacles often do not sit well on the face. In addition, the distortion in size between the image seen through the prescription lens and that seen through the other may be too great to tolerate. Likewise, we find that contact lenses can be hard to insert in children, can get easily lost, and carry a high risk of infection. Also, children with high corrections sometimes will not tolerate an appliance such as spectacles on their faces. Many of these children end up completely isolated. There is a term that has been called visual autism, and this really does explain the world that they live in. They can’t see anything clearly so they become completely isolated from the world.” Preliminary pilot study To see if refractive surgery could provide these children with a viable option, launched a study. “The impetus was that we were using these therapies with kids who were not improving or who were noncompliant and we had nothing to offer them. So when refractive surgery with excimer came out and it was shown to be safe in adults, I started to think that this was something that we should try for anisometropia.” Beginning in 1990 a pilot study involving 11 children with anisometropia. The youngest child treated was 2 and the oldest was 11. The child who fared the best was 2 ½ years old and had been born prematurely. At the time of treatment he had roughly 14 D of myopia in the one eye. The only treatment ever attempted was the refractive surgery. He never wore glasses before or after and was never patched. He’s now about 10 years old and he sees 20/30 in that eye.” Another success story involved a child with a genetic mutation who had myopia in the 14 D range with significant astigmatism. She wouldn’t wear her glasses and was extremely combative whenever she came to see me. She was wheelchair bound and nonverbal. She was just completely isolated in her own little cocoon. However, after undergoing refractive surgery to correct her myopia, all of that changed. “Three months later she came in smiling and walking with a walker and looking at me. I couldn’t believe it—we’d given this girl a life.” Ongoing efforts To date Dr Yum has performed refractive surgery on approximately 337 children. Results have been promising. “We have had ranges of visual acuity improvement from two to eight lines of vision on a Snellen acuity chart,” she said. 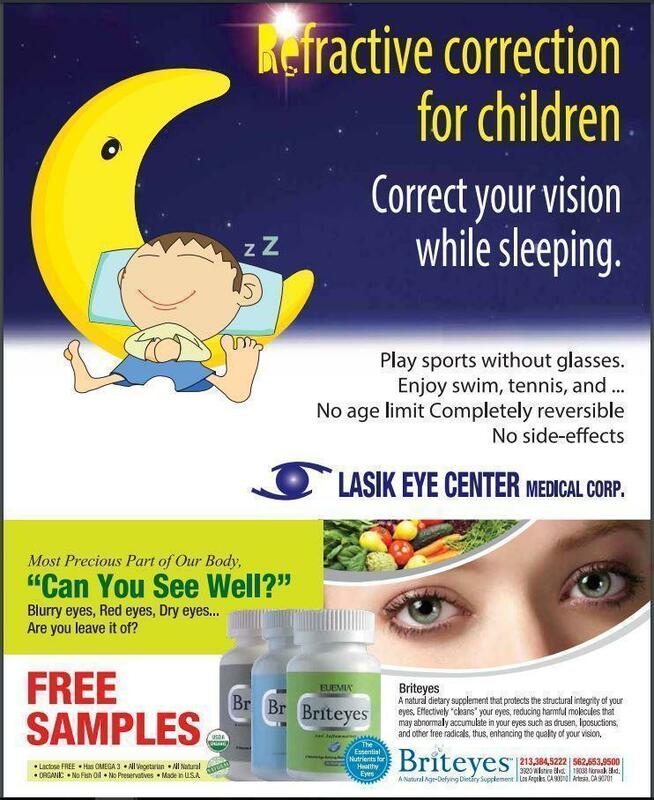 “It also appears to have possibly prevented amblyopia in these younger children, like the 2 ½-year-old who didn’t get any amblyopia at all, although he should have.” All of the children were treated with PRK and had no complications. Dr. Yum sees the risk of LASIK as too great in this population. “The risk with LASIK is losing the flap. This to me is a big issue with children who rub their eyes and don’t understand what you tell them not to do,” Dr. Yum said. To minimize haze the children are also put on a long-term steroid regimen. “We use FML Forte (Allergan, Irvine, Calif.),” Dr. Yum said. “The critical thing is that they have to stay on it for six months; if they stop too soon they’ll get corneal haze.” Dr. Yum believes her results show that refractive surgery can really benefit the right pediatric patients. “Excimer refractive surgery is an excellent treatment for a small subpopulation of patients with severe anisometropia or severe bilateral ametropia who are not responding to standard therapy or can’t tolerate it for neural behavioral reasons,” she said. continues to treat these patients who come from all over and to study their outcomes; she would welcome new patients. “We have a lot of patients who are sent from other states, and we continue to recruit for ongoing studies,” she said.